Exfoliating your skin is just as essential as cleaning and moisturizing it and no matter what beauty ritual you follow; your skin care is almost incomplete without this basic skincare indulgence. Exfoliation helps the skin to scrub off the dry dead layer and uncover the more radiant skin underneath. Regular scrubbing can leave one with a youthful, glowing, blemish-free skin. However, before giving into this indulgence, it is important to choose your exfoliator with care. The wrong kind of exfoliator can do more harm than wonder for your skin. It is essential to identify your skin type first and choose your exfoliator accordingly. For instance, if you have oily skin, then this luxury may not be for you as exfoliating can stimulate the sebaceous gland. Also, if you have mild, sensitive skin, you should go for extremely mild exfoliator for your skin. To know more on how to choose the best exfoliator for your skin, read on. When choosing an exfoliator for your skin, the last thing you would like to indulge into is a scrub that feels harsh on your skin. Facial scrubs are meant to be softer and granular than most other body scrubs, working gently on skin of the face, without abrading it. The granules in facial scrub are usually easy on the skin. Toners or astringents are other exfoliating agents that are known to dispel the dead skin, without causing any harm. Before buying an exfoliator, make a point to check its texture and consistency in advance. Thick granular scrub works wonder for body skin, but may not be the best bet for the more delicate facial skin. Using harsh granular scrub on skin can leave it irritated and riled. Always buy scrubs that have smooth granules and are easy on your skin. Also, avoid buying any exfoliator with oil contents, as these kinds of scrubs clog your pores instead. When using an exfoliator for the first time, it would make sense to do an allergy test, before indulging into it. Use the exfoliator for a couple of days to see if your skin is comfortable with it. If you experience pain or discomfort, switch on to a new product, but not before you give your skin enough time to recover. It’s important to check out the ingredients when buying an exfoliator. Always pick up a face scrub that contains alpha and beta hydroxyl acids, as these chemicals are easily absorbed by the skin. Also, it is best to buy an exfoliator that boasts of moisturizing properties, as it would save your skin from getting dehydrated. Also, don’t forget to moisturize your skin after exfoliating. If you are allergic to cosmetics, you can go for homemade exfoliators. For this, you need two basic ingredients, a base and an exfoliant. 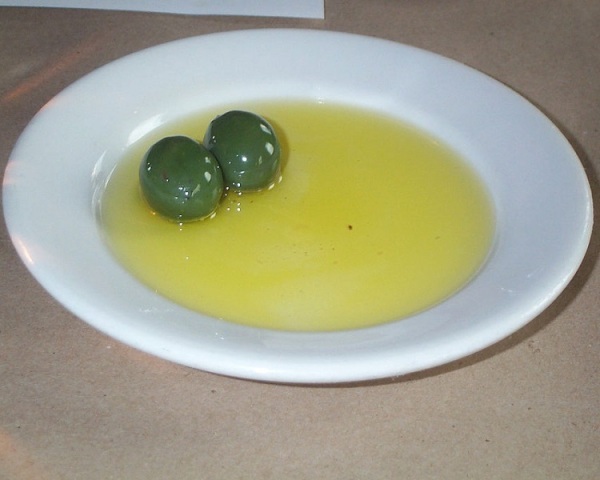 Select an oil such as olive oil, almond oil, or tea tree oil as the base. As for an exfoliant, you can go for ingredients with a relatively fine particle size such as ground coffee, Epsom salts, oatmeal, wheat germ or turbinado sugar. If you have serious dermatological issues like acne, eczema or painfully delicate skin, consult your dermatologist before picking an exfoliating cream, as it might add to your woes. While using an exfoliator, rub your fingers in small, gentle circles. Scrubbing can actually damage your skin and make you look older, especially if you hurt the delicate areas around your eyes.